Food, water, energy…people around the world are becoming more and more conscious about wasting natural resources. Did you ever think about how this could include human hair, too? If we braid all the hair that is thrown out by salons worldwide, we could probably circle the earth with it. Why not use it to do something good instead? We want to show you two ways how to recycle your salon’s hair waste. The most obvious and well-known reuse of hair is the creation of human hair wigs. As hairdressers, you understand how emotional it is to lose one’s hair due to chemotherapy during cancer treatment or for other medical reasons. For us at NATULIQUE this is also a personal matter. As some of you may know, NATULIQUE’s CEO Mette had breast cancer when she was younger. “As someone who always loved their hair, the fear of losing mine when I was sick was devastating. It’s comforting to know that there are people willing to donate their own hair for others in the same situation”, she says. Where can I donate my hair waste? What do I have to consider before making the cut? Different organizations have different requirements for the donations they take in. However, there are some Do’s & Dont’s applying for most of them. Even if your hair is not suitable for wig donations, it doesn’t have to go to waste. It can still be used to clean the ocean in the aftermath of an oil spill. With human waste polluting the world’s oceans for centuries, it is hard to believe that hair waste can actually be beneficial for the marine life. But it is true! There are several companies using hair donations to create booms or mats to clean the ocean after an oil spill. As we all know, hair absorbs oil – otherwise, we wouldn’t have to wash it. But just as it collects oil from human skin, it can drain the oil out of the ocean. Several NGOs developed a process that stuffs recycled hair, along with fur and wool, into nylon casing to create the booms. One pound of hair can soak up about one quart of oil. Where can I donate to? 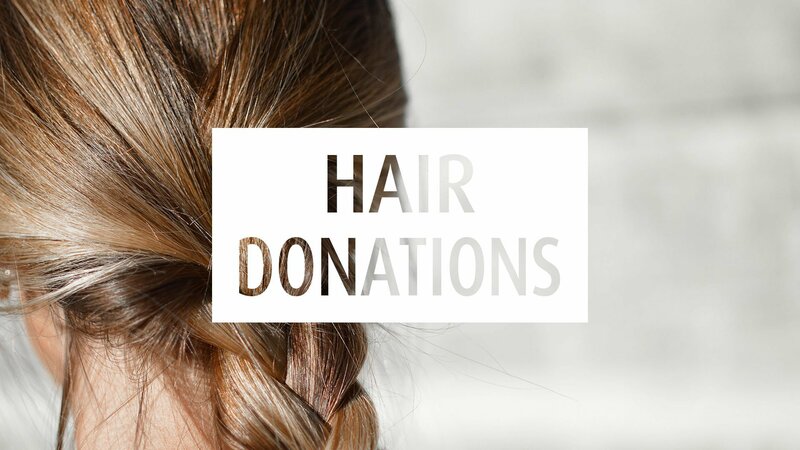 One of the largest organisations collecting hair for oil spills in the US is Matter Of Trust. “Our charity has done all the research and model factory work to help green businesses use our model anywhere in the world. Today we get hair from every zip code in North America and 30 other countries – so generous”, states Lisa Gautier from Matter of Trust. Currently, the organisation is promoting the establishment of hair mat factories in homes near ports, harbours and manufacturing sites. Manufacturing the mats directly where they’re needed would be better for the environment. “All that shipping isn’t great for the climate”, Lisa says. In Canada, many NATULIQUE hairdressers have already joined Green Circle Salons to donate their hair waste. On top of hair clippings, they also recycle used foils, colour-tubes, papers and plastics, glass, and spa waste and divert them from landfills and waterways. As you’ve seen there are many ways to make the most out of human hair waste. We hope this article inspired you to stop wasting and start donating.